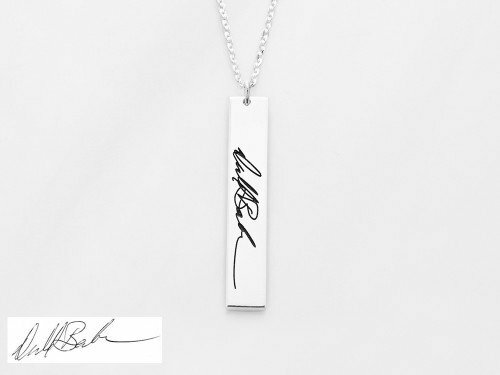 Now you can engrave two signatures on our double disc pendant necklace. 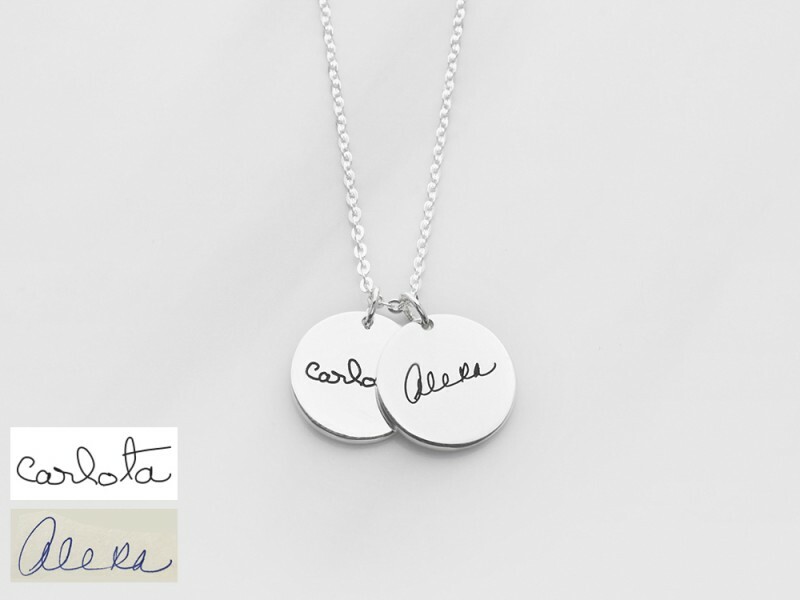 Many use their grandparents or parents' signatures to make a beautiful memorial necklace with memory of two people. The dainty pendants are beautiful worn layered and on its own. - Word limits: 1-2 words per disc. 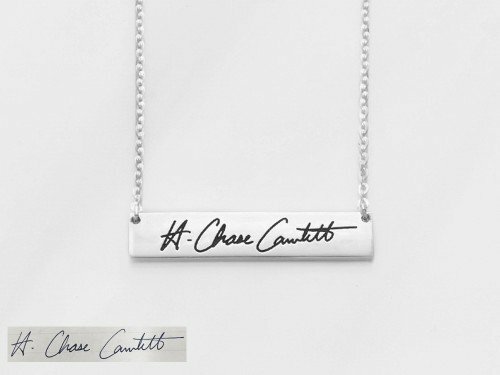 For longer signatures, you might be interested in our Double Bar Signature Necklace. Measurements Pendant measures approx. 5/8". 3Signature image on charm 1: File uploaded! 4Signature image on charm 2: File uploaded!